Kids below 5 years are not chargeable. 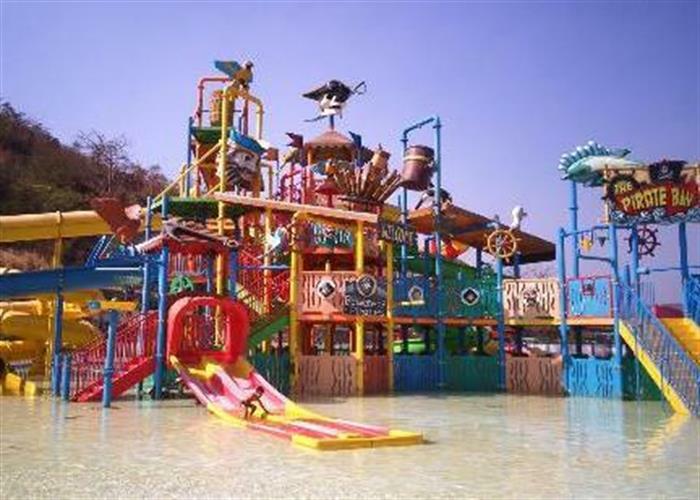 Located next to the theme park is the Imagica water park. Inspired by the Greek Mykonos theme, Imagica Water Park welcomes visitors with 14 thrilling rides like the Loopy Whoopy, Swirl Whirl and Twisty Turvy and exciting restaurants that will entertain your stomach in every way. 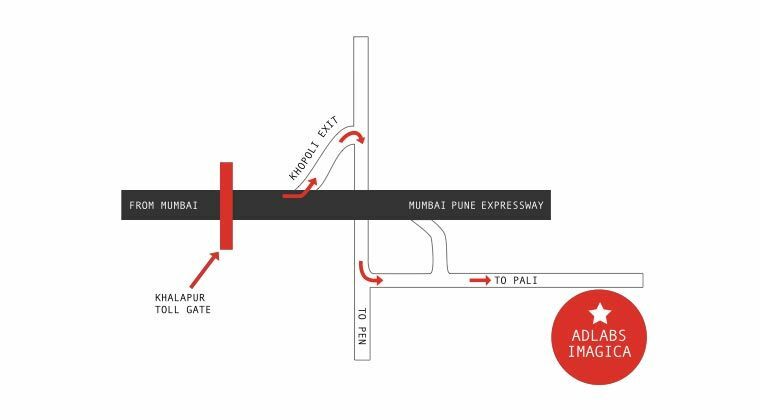 The chilled out vibe at this day party destination just makes you want to `Go With The Flow`. It is recommended that guests carry the required swimwear while visiting the park, which is compulsory for all the rides. There are swimwear options also available at the parks retail outlets. The Water Park also offers locker facilities for guests to keep their personal belongings. Add a ticket for Imagica Snow Park and experience -5 deg temperature with real snow. The management has put all efforts to keep all the attractions operational; however it is possible that some of the rides or attractions may not be fully operational at all times. Some guests may not be able to experience a particular attraction on a particular day or time due to technical/repairs and maintenance/electricity or power failure. Conditions Apply. 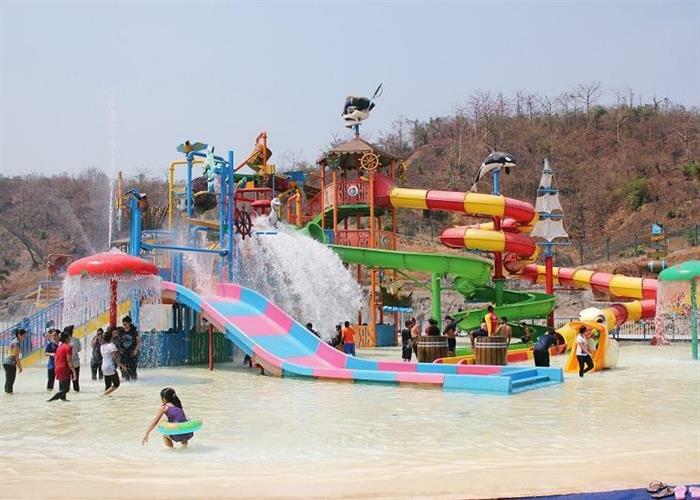 Check out what we thought about Imagica Water Park on our blog. The park will be open from 9.30 am. to 6.30 pm. The management has put all efforts to keep all the attractions operational. But it is possible that some of the rides or attractions may not be fully operational, at all times. Also, guests may not be able to experience a particular attraction on a particular day or time due to technical repairs and maintenance/electricity or power failure. Conditions Apply. 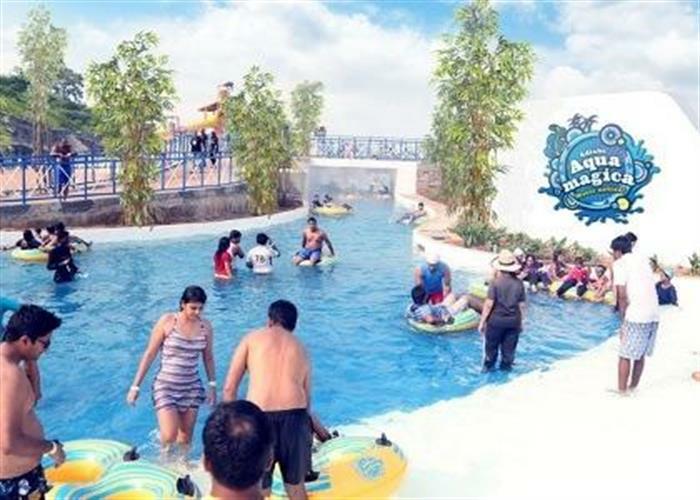 Imagica Water Park will not be responsible for any loss, damage or injury sustained by the ticket holder, and persons accompanying him, while in the park. Imagica Water Park reserves the rights to refuse entry to holder of this ticket on the basis of violations of park rules, illegal activity or failure to follow any security measures. The following articles are strictly prohibited: Eatables (Including Gutkha, Pan-Masala, Chewing Gum, Chocolate, Chips), Lighters, Knifes, Match-Boxes, Firearms and all kind of inflammable objects. Tickets are required to be purchased for children above 5 years of age. Family (*2 Adult 2 Child): Equivalent to 4 persons with 2 persons equivalent to `Adult` and 2 persons equivalent to `Child`. initiatives/technical/repairs and maintenance/electricity or power failure. Product, ticket, package and addon rates and governing conditions are subject to change without notice. Passport and Imagica TandC, Rules and Regulations apply. The Imagica capital is an Indian buffet restaurant which not only offers you timeless cuisines but takes you on a gustatory adventure through the flavours of India. From konkan to Kashmir, South Indian to Bengali, Sindhi to nawabi, you will be able to savour all the cuisines of this versatile majestic continent. 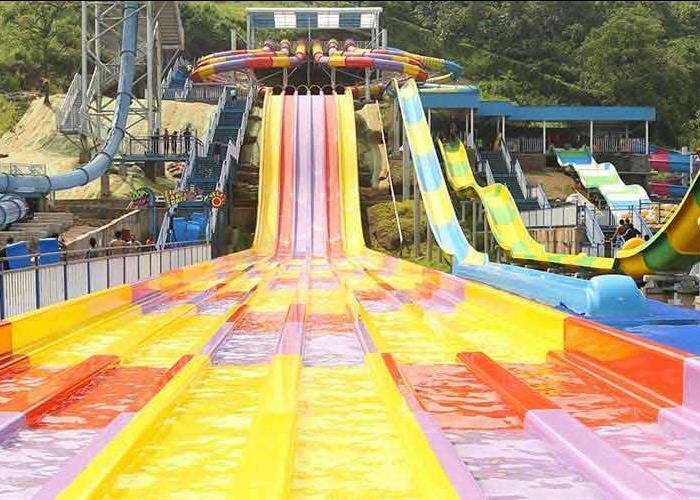 Whether it’s challenging friends to a Loopy Woopy fall, racing through Zip Zap Zoom, screaming your lungs out at The Screamer or Yell-O, or freefalling in the Twisty Turvy whilst a DJ entertains all day long near the Wave Pool, the guests are encouraged to go with the flow at every stop. Loopy Woopy plummets the rider through 39 feet vertical free-fall drop into a 360-degree looping slide of speed and exhilaration! Zip Zap Zoom is a high-speed mat racer that sends riders through enclosed looping Aqua Tubes that serpentine alongside each other. This exhilarating ride takes you through a thrilling series of twists and turns, and then plummets you into the core of the funnel where you share 4 to 5 near-vertical oscillations before exiting the flume in the final plunge. The Screamer shakes riders up with a series of twists, turns and oscillations! Featuring “rattles” which changes shape in alignment with the different lengths of cylinders, the Screamer lets riders experience completely different sensations. 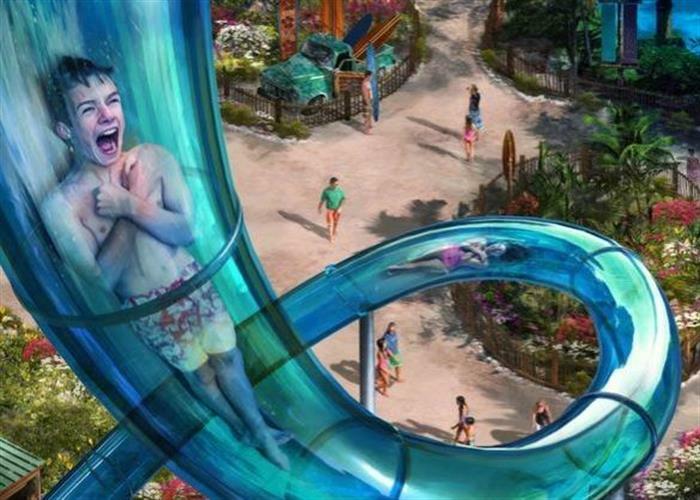 Experience a one-of-a-kind open body waterslide with multiple steep bumps and turns. Soakers Family Raft Ride offer riders loads of thrilling wall time with steep drops, This is a true family fun ride! Floatsa is relaxing trip on the Lazy River, where guests will gently float downstream on individual tubes. The ultimate artificial wave pool, where sea-like waves are formed every minute, this is a fun and exciting experience. This is an exciting gravity-defying coaster with hair-raising drops and breath-taking curves. 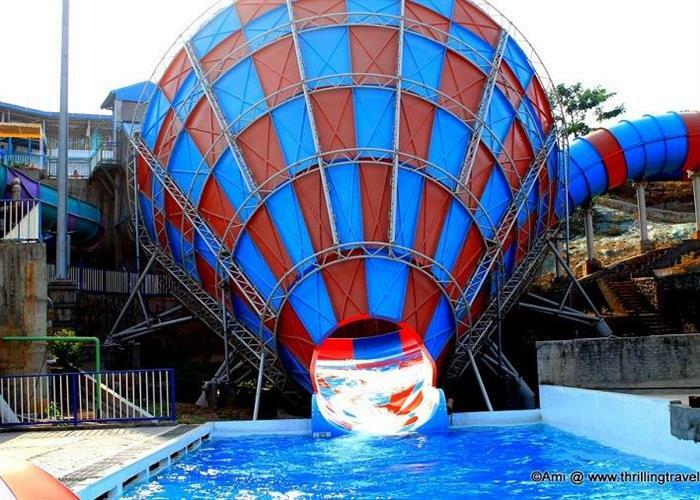 It blasts riders uphill on water jets, and ending through an enclosed flume into a splashdown pool. A music band created by five fun wild animals, they play awesome music, as well as splash tons of water. Imagica's very own flying elephant, Tubbby, just loves meeting all the cool kids with an interesting ambition in life, just like his. Don't worry if you don't have one. You could take a flight as he flies high in the skies. He just might give you some advice on how fast to flap your wings... err... hands! The star chef Roberto is out in Imagica, doing his rounds and meeting all the guests who have been bowled over by his awesome dishes. Look out for him when you are visiting them next. You never know. He may even share some interesting culinary tips! The Imagican astronaut got lost and tried really hard to look for his way back home to the Deep Space at Imagica. He has finally had a homecoming. Bump into him and know more about his stories of being lost all alone in the big bad world! Their act works in ways your eyes will barely be able to catch up with. With their roller blades and BMX bikes, check out these guys do their act on all sorts of slopes and slides, whirling and shooting in air. This act goes way beyond your imagination. Enter a world of wonder as you suddenly encounter stilt walkers strolling the streets of Imagica. You might have to pinch yourself to know if it's really true. Their entertaining unicyclist has definitely got some moves on his wheels. Wanna learn? A balloon is not just a balloon; it can be many things! Go to the balloon man at Imaigca and request him to blow up balloons in various shapes and sizes that suit your fantasies! You may have experienced these living statues on the streets of various big cities of the world. Now, they have come to Imagica to take you completely by surprise.